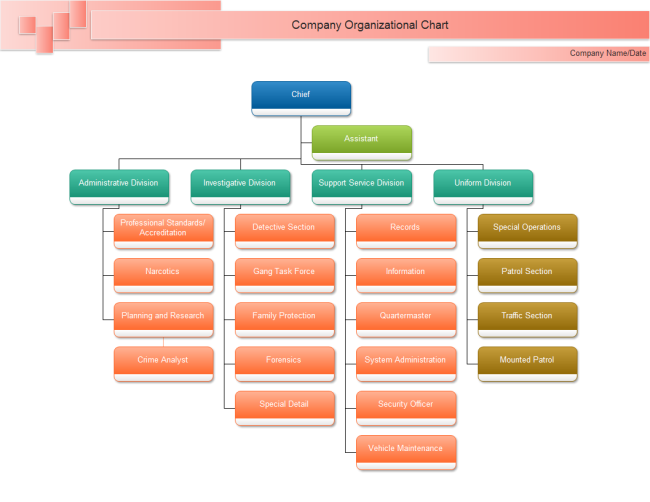 Description:A free customizable chief org chart template is provided to download and print. Quickly get a head-start when creating your own chief org chart. With automatic connection feature and vector shapes, it is way much better than hand-drawn organizational chart.